Your home may qualify for free loft insulation in Scotland if you claim specific benefits or tax credits. Installing loft and cavity wall insulation is the most effective way of reducing energy bills. Government grants for free loft insulation and cavity wall insulation in Scotland are accessible via the Energy Company Obligation (ECO) scheme. This is an environmental program which aims to lower carbon emissions by making Scottish homes more energy-efficient. How do insulation grants work? The UK and Scottish Governments have signed up to an international agreement which requires all included countries to lower their carbon footprint. Each Government has annual targets to meet. These targets are achieved by reducing the amount of energy wasted in the home. Part of the plan is to make all homes in Scotland more energy-efficient. Insulating your walls and loft correctly means you spend less money on heating bills. As part of the scheme the The Government have told major energy companies like British Gas, EDF and Scottish Power etc. put funding aside to help pay for the cost of installing the energy saving measures. This is why the scheme is called the Energy Company Obligation. If your home is eligible for an ECO insulation grant the money comes from this funding. Although technically we all pay for it through increased energy bills. Why should I insulate my loft or attic? Up to 60% of heat you generate with your central heating escapes through the walls and roof of your house. 35% escapes through your exterior walls and around 25% escapes up through your attic and out through your roof. Installing effective loft insulation reduces energy bills and helps you main a comfortable temperature in your home. Your property will probably already have loft Insulation but two-thirds of homes in Scotland don’t have the recommended level, which is 270mm or 11 Inches. This depth of loft insulation material stops severe heat loss. It is common to assume that your property has effective loft insulation when you are actually spending a fortune on high gas and electricity bills. If your loft is not insulated properly, you are losing 25% of heat through your roof. This makes it more difficult to maintain a comfortable temperature in your living area. Loft insulation keeps the heat from your radiators in your rooms and prevents heat loss. Government grants for loft insulation are available for all home owners, landlords and private tenants in Scotland who meet the criteria for funding. Loft insulation is insulating material which is placed in between and over the joists in your attic or roof. It can also be used to insulate your loft hatch and any water tanks or pipes in your attic space. Heat rises in your home and escapes quickly through your roof. Insulating material makes it increasingly difficult for heat to pass through the roof, trapping the escaping heat and effectively keeping it in your living area. Placing insulation between and across the joists in your loft gives you a protective sealed area in the home which stays warm for longer. This means it costs less to heat your home. You don’t have to fire up your boiler or central heating for as long as the heat is kept in your rooms. 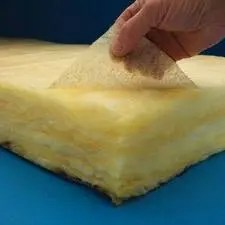 Insulation boards are made of compact material that contains insulating properties. They can be pinned to your walls, roof or ceilings. They greatly improve the energy efficiency of your property. Boards come in different thicknesses. The thicker they are the more effective the insulation. This type is not available under the grant scheme. You might be unsure whether your home is suitable for loft insulation in Scotland. Let us know and we can arrange a free no obligation survey with an approved energy assessor. The assessor will check the depth of your loft insulation. They will also check to see if your loft hatch needs insulated. And any water tanks in your attic that may need insulation. In addition they will tell you if you are eligible for a free loft insulation grant. How do I get free loft insulation in Scotland?